Amazon’s new Echo Show has iPhone users questioning whether we need another screen in our homes. Last week, Amazon unveiled its latest Echo product, the Echo Show. But for iPhone users, the Echo Show seems unnecessary. In this week’s episode of The iPhone Show, I break down the Echo Show’s main selling points and wonder whether we need another touchscreen device in the house. Amazon is touting the Echo Show’s screen that can show you YouTube tutorials, as well as the ability to initiate video calls. But these features are not very compelling to iPhone users who can already activate a voice assistant hands-free by just saying, “Hey Siri.” Besides, the Echo Show can only conduct calls with other Echo devices or with people who have the Alexa app on their phones. 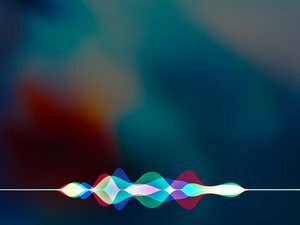 Here’s hoping that Apple’s rumored smart speaker will be more than just another touchscreen device we don’t really need. Watch the video above to learn about how Apple can make an Echo Show competitor that iPhone users actually need. What do you think? Are there other reasons an iPhone users might want to buy an Echo Show? Do you think Apple’s smart speaker will be a worthwhile addition to its product line? Let us know by commenting on Macworld’s Facebook page and Twitter feed.